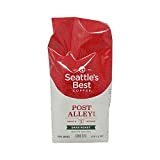 Seattle's Best Brewed Coffee is sold at their coffee shops and drive-thru locations or as bagged coffee in stores across the USA. Listed is the caffeine content for their brewed style coffee sold in Drive-Thru locations. 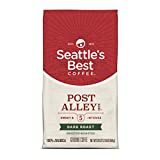 Note: In 2013 The Today Show tested Seattle's Best Brewed Coffee and found it to only have 125mg of caffeine/ 12 floz cup. 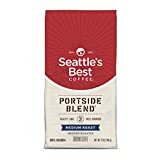 Seattle's best offers a whole range of coffee beverages and we have many of them listed here. 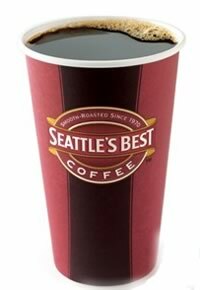 How Does Seattle's Best Brewed Coffee Compare? 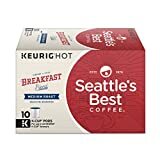 Seattle's Best Brewed Coffee contains 21.67 mgs of caffeine per fluid ounce (73.26mg/100 ml).